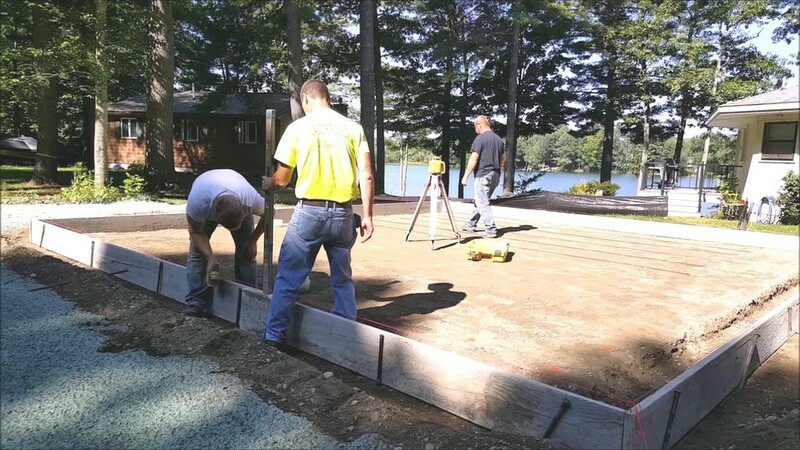 If you're thinking of installing a concrete slab, you've found the right page. 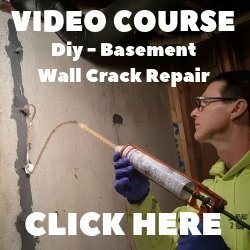 I'm going to show you the 14 tools needed to build a concrete slab. You'll need some of these tools to form the slab and some to pour the concrete for the slab. 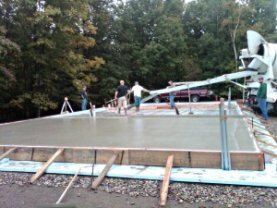 My name is Mike Day, owner of Day's Concrete Floors, Inc.
My company installs concrete slabs for homeowners, builders, and foundation contractors. I've been in the concrete business for over 35 years and have built a lot of concrete slabs in that time. My crew and I use the same tools over and over again to build these concrete slabs. We've figured out the fastest and most accurate way to form the slab and to pour the concrete for the slab. These are the tools we use to build the forms. We like to screw our forms together. You can use a hammer and nails if you want to. A couple other things you will need to build the slab frame that aren't tools are the deck screws (or 16D nails) and the wood forms (2x4's, 2x6's, 2x8's, use whatever board you need). Once the forms for the concrete slab are built and set to grade, you're ready to install the concrete. One other thing you may need - it's optional - is a concrete chute if the truck chutes can't reach as far as you need to or maybe even a wheelbarrow. 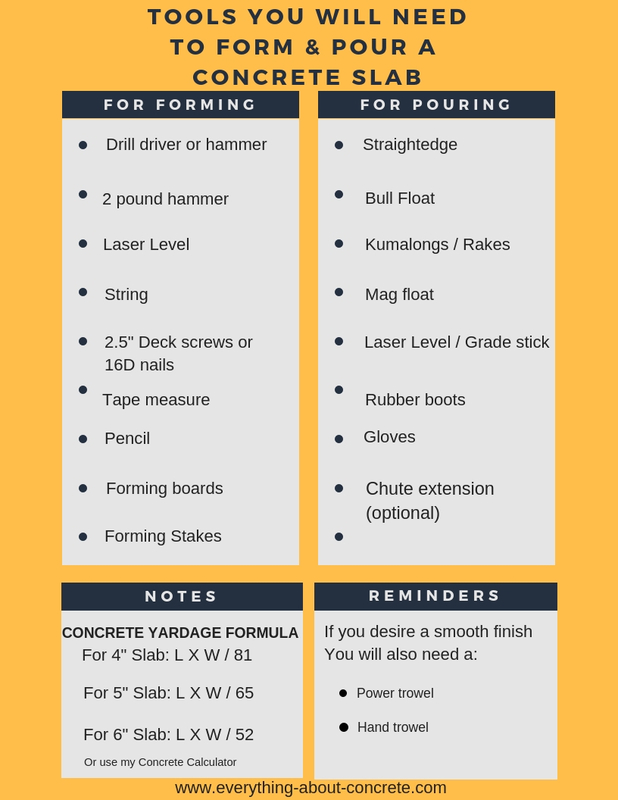 Download my concrete tools cheat sheet pdf. 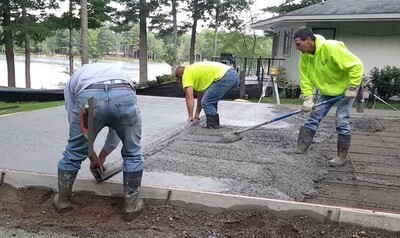 How to form and pour a concrete slab like the pro's do. In the course I break down all the necessary steps to successfully form the slab and then how to pour the concrete. When you pour a concrete slab there is no room for mistakes. One mistake could cost you hundreds (maybe thousands) of dollars. Concrete is not easy to fix after it hardens. 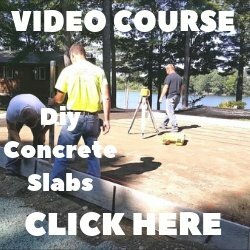 My course will explain to you in a video format how to easily set up the forms and prepare them for the pour. Then I will show and tell you all my secrets on how we pour concrete slabs. It's well worth the investment.